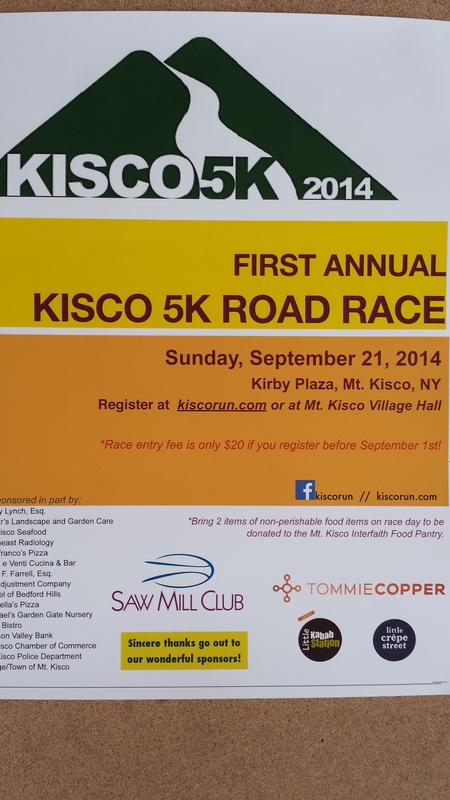 Today is the last day to register on line for the Kisco 5K Run. Don’t be left out, this is going to be one of the best events during Sale Days. If you can’t Run, then walk or how about volunteering …. – You can still register on Saturday, September 20th in front of Tommie Copper in Mt. Kisco from 11am-2pm or inside the store in case of inclement weather.